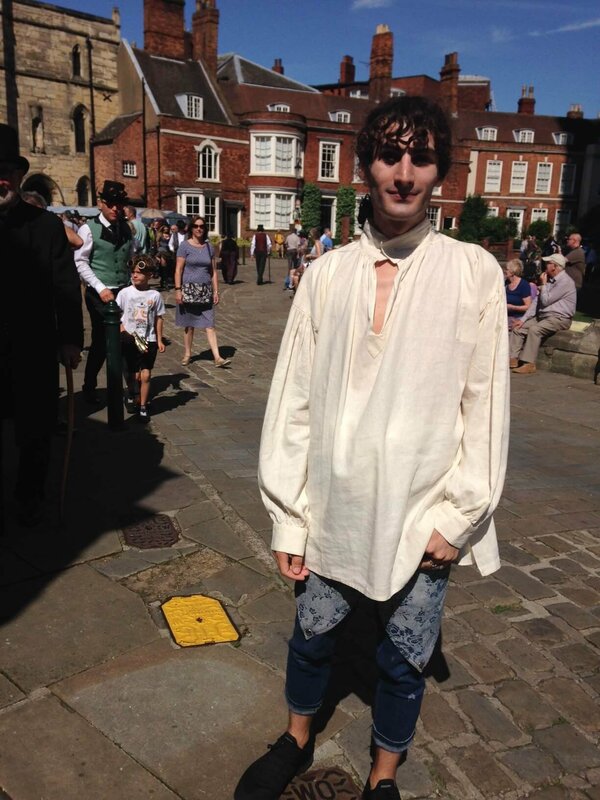 Take a look at these customers in their Elgar Shirts! Don’t they look fantastic? 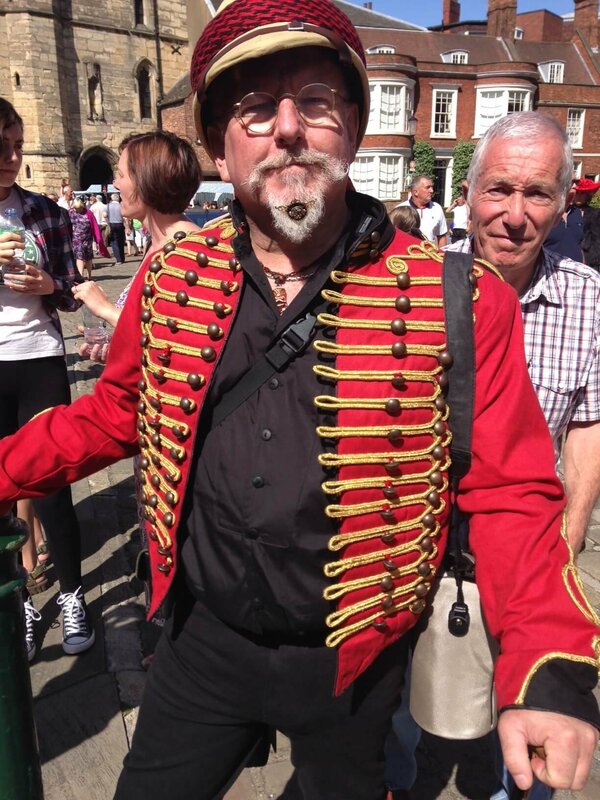 Over the Bank Holiday Weekend in August we attended The Asylum, a Steampunk Festival in Lincoln. 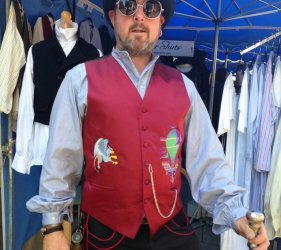 This festival is one of the biggest and busiest steampunk events in Europe and we had a great time there seeing all the wonderful costumes and meeting enthusiasts from around the country. 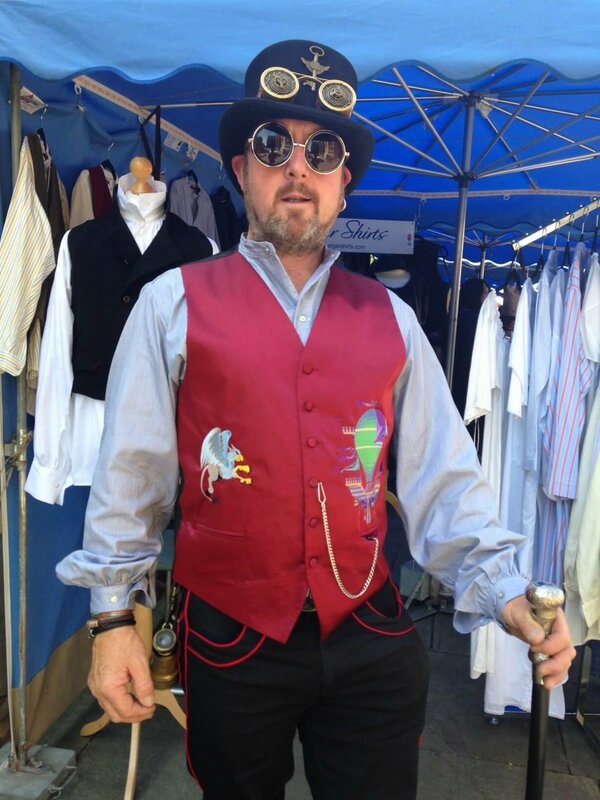 We were thrilled to meet so many Elgar Shirts customers there who were wearing our garments as part of their steampunk outfits and you can see some of these in the gallery above. 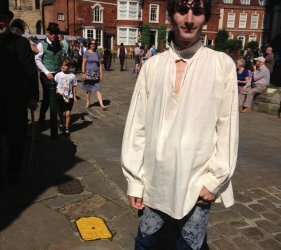 Whether it was our 18th century linen shirt making a dramatic look with a pair of modern jeans; or our Victorian black and white stripe shirt under a waistcoat; or even a custom made black bib shirt – they all look brilliant! We like nothing better than seeing our clothes being worn and loved by those who’ve bought them. 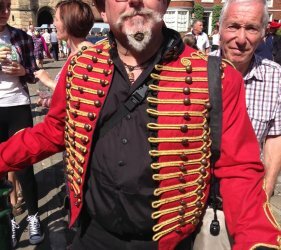 The Lincoln Steampunk Festival was a great success and we enjoyed meeting so many new people who were interested in our business and wanted to get measured up for their perfect Elgar Shirt. To see if we’re heading to an event near you soon, check out our upcoming events page.